Updated Jan. 2, 2016: This page is so out of date! 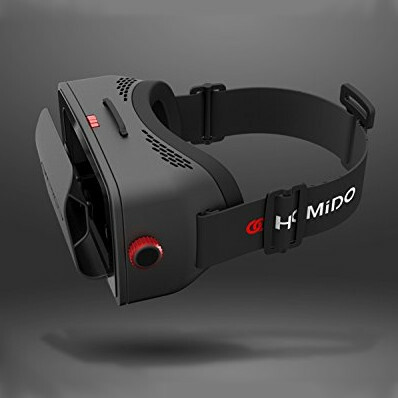 Please go see our Virtual Headsets Buying Guide, which lists over 70 Google Cardboard-compatible headsets categorized by price, and our handy Mobile virtual reality headset comparison chart, which has all the key specs, prices, and buying links for all the headsets currently available on the market. 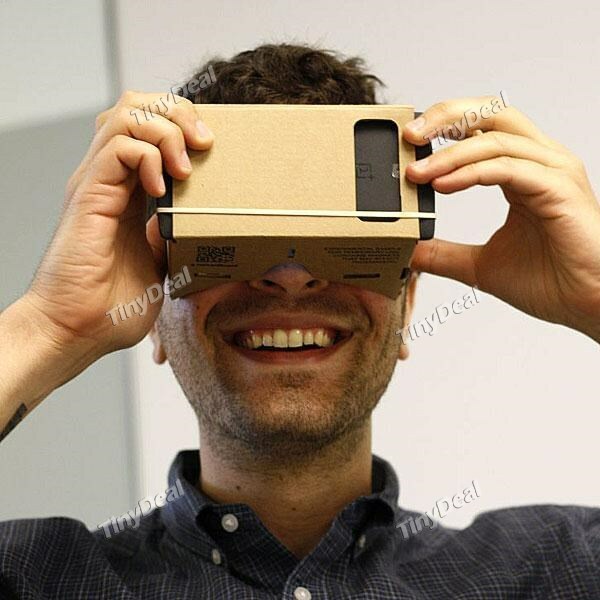 Updated May 30, 2015: Google Cardboard V2.0 released, see where you can buy compatible headsets here. Meanwhile, Get Google Cardboard is no longer in business. I also added a handful of new headsets to the bottom of the list. Updated Feb.6. 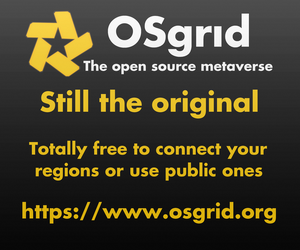 2015: Click here to go to the bottom of the article, where I’ve added even more sites! Updated Nov. 15, 2014: Click here to go to the bottom of the article, where I’ve added seven more sites! I’ve written about Google Cardboard before — it’s a virtual reality headset made from cardboard designed to work as a frame for an Android smartphone. 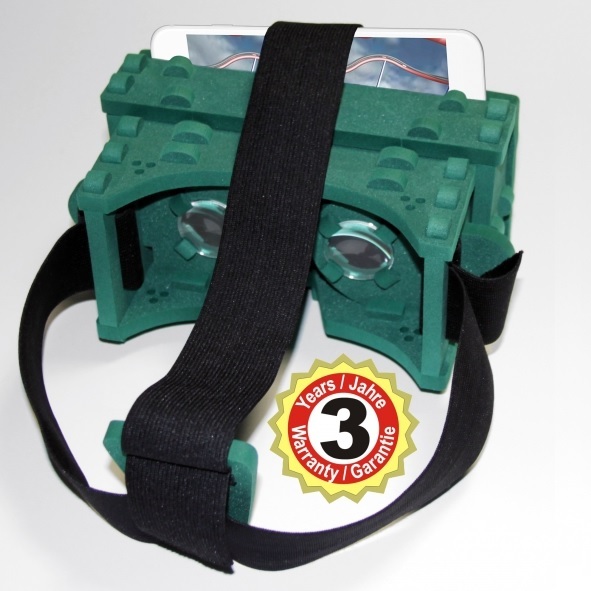 What distinguishes Google Cardboard from other smartphone cases is that it has an NFC chip to register when a smartphone is being used in VR mode, and a little magnet that’s used to signal the smartphone — a replacement for clicking a mouse since, of course, smartphones don’t have mice and tapping on a screen isn’t an option when the smartphone is inside a case. Google gave the kits away for free at its Google I/O conference in June, and released plans that anyone could use to make their own Google Cardboard our of any available materials — including pizza boxes. Folks who don’t have pizza boxes lying around — or don’t want to mess around with trying to cut out the right shapes — and don’t have the magnets and lenses necessary can order kits online from a number of different vendors. Here’s a quick round-up of the options. For $24.95, the San Francisco-based DodoCase will get a kit to you in about two to three weeks. The kit includes everything you need, including the lenses and the magnet and the NFC chip, and the company says that assembly takes just five minutes. Without the NFC tag, the price is $19.95. So get the NFC. This company has the best-looking site, the best support forums, and more than 43,000 “Likes” on Facebook. If I had an Android phone, this is the case I would order. And, frankly, I’m now seriously considering switching to Android just because of this. The company also has “pop up” cardboard cases that you just have to unfold, as well as cases made of EVA foam, and a case where you can upload your own design. Order the kit here. Learn more about it here. A great-looking site for all your Google Cardboard needs. The company offers fully-assembled kits for $21.95, and unassembled ones for $19.95. You can also order just the parts — lenses, magnet, Velcro, and NFC chip for $9.95. The lenses, magnet and NFC tags are also available individually. 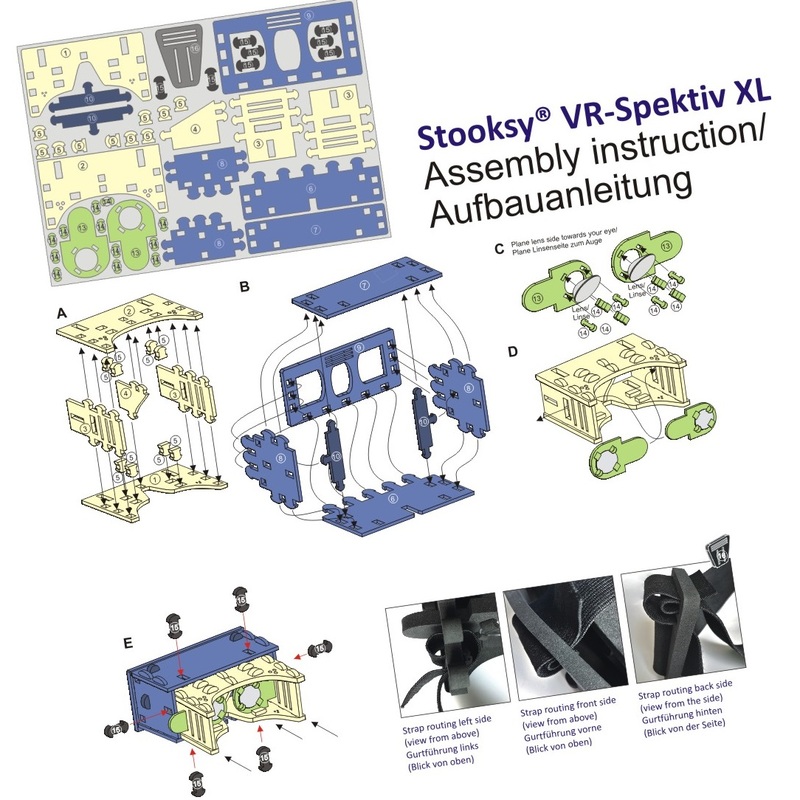 The assembled and disassembled kits are each available in two sizes — regular and large. The large one fits bigger phone sizes, and can go over prescription glasses. Three-point straps are coming soon, the company says. The company says it uses the same German engineered 25mm acrylic, bicovex lenses that Google used at the I/O conference. It ships in about a week to the U.S. Regular shipping is free, priority shipping is $5 extra. Order page here. More information is here. This was formerly Google Cardboard and I was surprised this site existed since, according to the disclaimer, it is not affiliated with Google, but anyway Google bought their URL and now the site has been renamed to I Am Cardboard. I’m glad it’s still up, because look at that selection of cases! With NFC chips and without, with straps and without, in two sizes, and in all the basic colors. Prices range from $12.99 for just the pre-cut keyboard and $14.99 for just the parts, to $24.99 for a plain or colored cardboard kit with an NFC tag. A larger kit, with a strap, is $29.99 is available in red, yellow, and blue cardboard. It works with larger smartphones such as the Galaxy Note 2 and Galaxy Note 3 from Samsung. There’s also a $34.99 “Eva Version” and the company has recently launched a Kickstarter for a very sleek plastic case reminiscent of Samsung Gear VR. Plus, all shipping — worldwide — is free, and the company says that all the products ship within 24 hours. KnoxLabs offers a cardboard version of Google Cardboard for $18.95 plus shipping and an aluminum one for pre-order for $38.95 plus shipping. The company says it uses glass lenses. Place the order here. 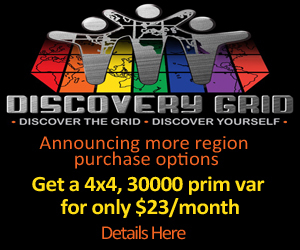 The company says it takes three to four days to process the order, due to high demand. Ceocase has a separate Google Cardboard section on its site, which mostly sells cellphone and tablet sleeves and purses. The cardboard kit costs $10 without an NFC chip, $14 with the NFC chip and head strap. It also offers an adjustable plastic and rubber case — pictured above — for $39.99. 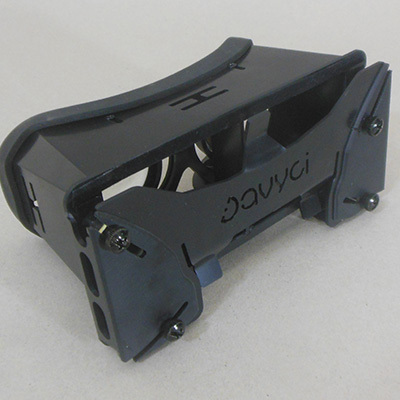 Free shipping is available in the U.S.
Order the black plastic case here. 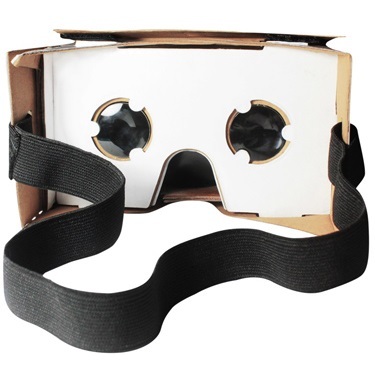 This site offers several versions of the Google Cardboard kit. For $10.91, you can get the kit illustrated above, which comes with resin lenses and an NFC chip. It’s made by a company called NEJE, and delivery is estimated at less than two weeks. Order it here. It’s also available from the same manufacturer for $10.34 without the NFC chip. Or, if you want to have an attached strap, order the $12.68 version here. The same company also makes a black plastic case for $36.96, but it’s not clear whether it includes the magnet and the NFC chip. Order it here. Do you mind ordering from China? If you don’t, AliExpress — owned by Alibaba, China’s biggest online shopping platform — is the way to go. AliExpress guarantees a full refund if the order isn’t delivered or you’re not satisfied. 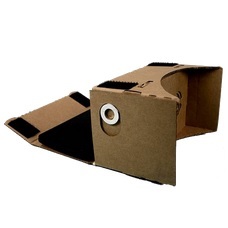 Search for “Google Cardboard NFC” on the site and more than two dozen offers come up. The highest rated is the $8.99 kit from HiFun. You get a complete kit, with magnet, lenses and NFC chip, and free shipping via China Post or ePacket. Delivery takes two weeks with ePacket and up to four weeks with China Post. Order it here. Looking through the other offers on AliExpress, you can also get the kit with different kinds of straps, with a more durable cardboard, and in bulk for as little as $6 each. The eBay listings are a little bit more diverse than those on AliExpress, but many of the same products popped up — though generally at a higher price. I couldn’t figure out a way to sort sellers by reputation, but CN*Sell had 99.6 percent positive feedback, and the lowest price for their kit, at $9.90, as well as free shipping to the U.S. Order the kit here. If you already have everything else, you can also order a pre-programmed NFC tag separately for $2.95 here and the magnets also for $2.95 here or just the lenses for $6.95 here. I almost forgot the biggest seller of them all. Amazon offers a giant selection of Google Cardboard cases — more than 150 by my count — some from the manufacturers listed above. Like this nice leather case from Soyan for $14 (marked down from $50). Or this white plastic case with foam padding around the eyes from Destek, for $40. 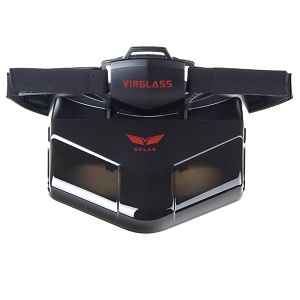 Or this funky black-and-orange plastic case from Unicorn VR for $34. Since I first wrote this article last summer, a bunch more manufacturers have jumped into this space. Many offer significant bulk discounts — at this price, companies can give away virtual reality kits as promotional items. US $18.59 for the DodoCase kit plus a guide for newcomers to virtual reality. Includes the NFC tag and works with both iOS and Android devices. US $11.99, ships in 2 to 7 days. A Christmas-themed kit that includes an anti-slip strap, magnets and the NFC chip. Compatible with smartphones between 4 and 5.5 inch screens. 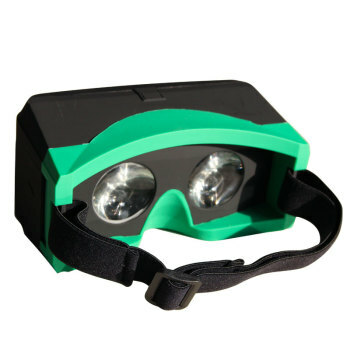 US $6.92 with free shipping to the U.S. No headstrap included. Cardboard can get uncomfortable with repeated use, according to the reviews. Comes with a magnet and an NFC chip. US $34.31 with free shipping to the U.S. Includes a strap and a nice comfortable plastic case. 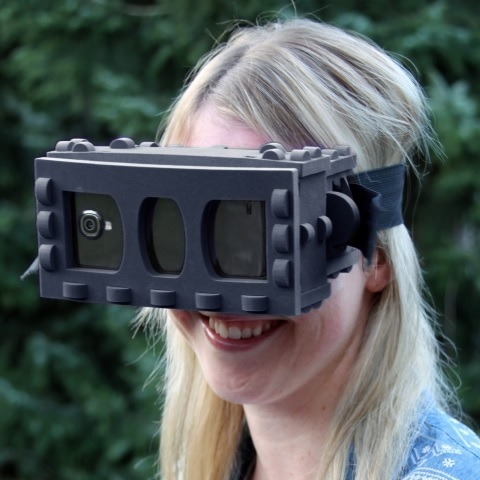 Magnet is not included, so you would use this for watching 3D videos but would not be able to control games designed to be used with the Google Cardboard magnet. US $6.99 with free shipping to the U.S. Ships in two to three days. No headstrap included. Does come with the magnets and velcro and a rubber band, but the NFC chip is not included. US $24.95 for a kit that includes magnets and the NCF tag. For $5 extra, you can order it in black. Promises a delivery time of less than a week. US $7 with worldwide free shipping for a camouflage-colored set. No headband, no NFC chip, but does include a magnet. Compatible with both iOS and Android phones with screens between 4 and 5.5 inches — though the magnet works only with the Android apps. I know, I mentioned Amazon above, but I wanted to single this particular one out because it isn’t the usual cardboard. 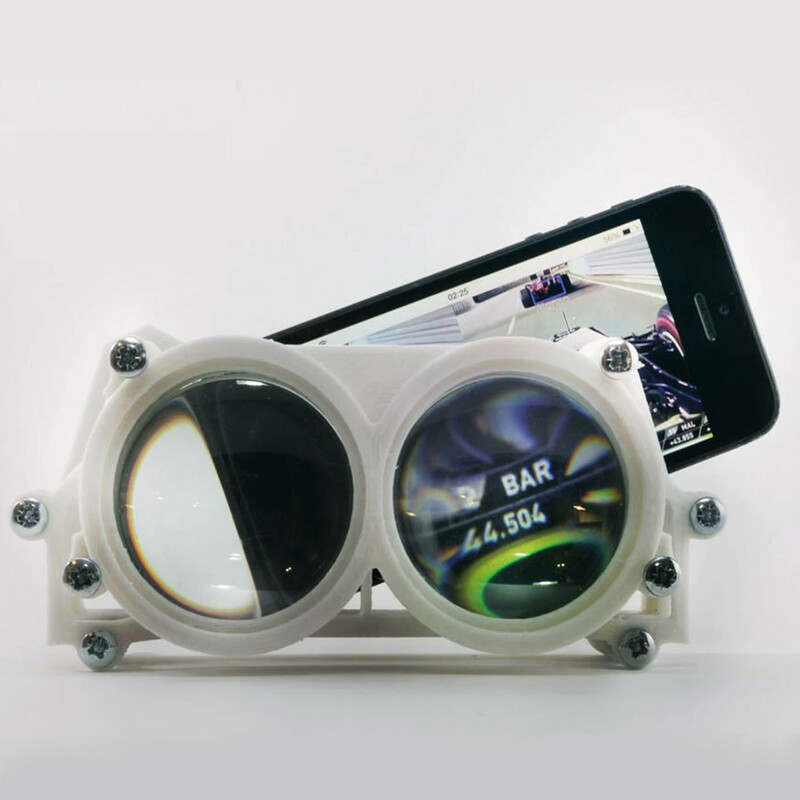 Both the distance between the lenses and the distance from the lenses to the phone can be adjusted, it comes in a durable plastic, has a headstrap, There’s no magnet — this is for watching 3D videos. It works with both Android phones and iPhones. The same headset also seems to be sold under other brand names on Amazon, including ColorCross, Ourspop, and Ciyoyo for slightly different prices. It’s also available from NewEgg for $20. Other plastic headsets on Amazon include the EasyLife headset for $36.97 and free shipping and the EAE headset, which comes with foam padding around the facemask and costs $19.99. 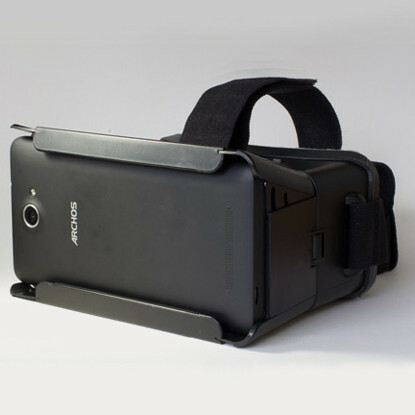 Wide variety of virtual reality cases for smartphones from a number of different manufacturers. Variety of materials, colors and styles as well as accessories. Ships from China, with deliveries to the U.S. taking one to three weeks. 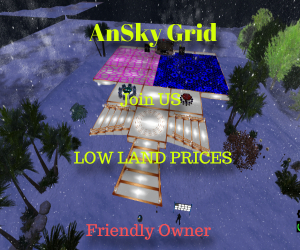 Prices start at $7 for a plain cardboard case. Accepts PayPal, credit cards, and Bitcoin payments. 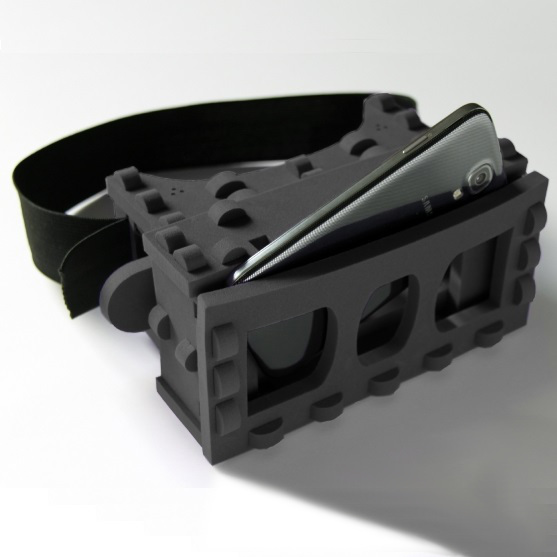 This German company makes one of the more unusual smartphone VR cases. It’s made from light-weight foam, and comes in a couple of differents sizes and colors, and you do have to assemble it yourself. You can order it directly from the site, or from Amazon. Check out the smartphone compatibility list for sizes. It fits all major iPhone and Android phones except the HTC One Max and the Huawei Ascend Mate. Its compatible apps database has 140 apps, 10 of which are for the iOS. 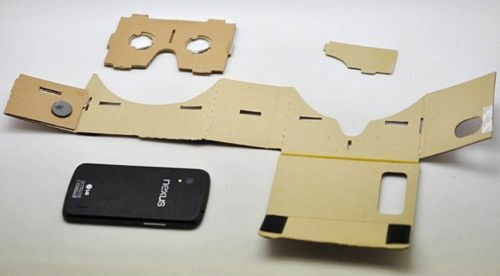 The lowest-cost Google Cardboard kits I’ve seen yet — just $2.65 each. Comes with magnets, lenses, and velcro — no strap, no NFC chip. Free delivery to the U.S., takes up to two weeks. Plenty of customer reviews, unpacking videos, and a question-and-answer section. The site also has lots of other options, in both cardboard and plastic. Check out their black plastic 3D Private Cinema case for $22, their MagicGlass case with foam padding for $16, or their ColorCross headset for $17, their SeresRoad headset for $18, and their RiTech headset for $11. Or this leather-ish assemble-it-yourself kit for $10. This site is based in India, and offers the basic assemble-it-yourself kit for ₹ 399. The kit includes lenses, a strap, and the magnet but not the NFC chip. The site also has a collection of images of historic places in India which can be viewed in 3D. A UK-based site that offers a cardboard case in a couple of different sizes, both as a kit, and already assembled, for prices ranging from £14 to £26, with free delivery in the UK. The company also has a list of recommended Android and iPhone apps. A new headset from Zeiss, a company known for their high-end lenses. Price starts at $129. 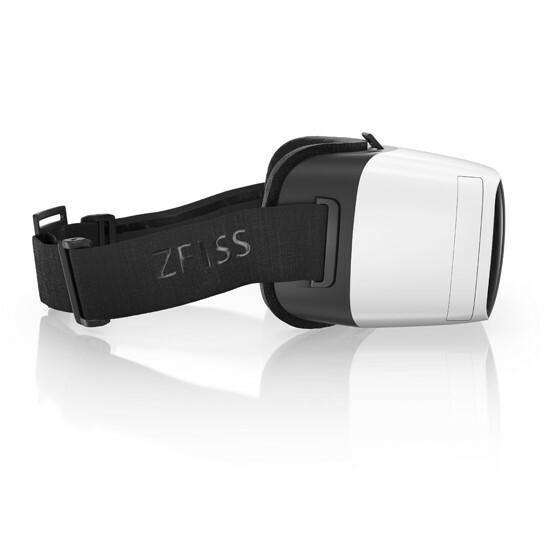 The Zeiss VR One is made for smartphones with screen sizes between 4.7″ and 5.2″, and uses a tray to slide your phone in and out. The standard bundle comes with either an iPhone 6 tray or a Samsung Galaxy S5 tray. Additional trays are sold separately for $9.90. A basic case that works with both Android and iPhones with screens between 4.7 to 6 inches in size. The device is not available for sale directly from the manufacturer, but through a number of online resellers. A higher-end headset that can hold smartphones from 4 to 5.7 inches in size. Order from the manufacturer for 89.90 Euros. Also available from Amazon for $79 and from Hypershop for $79.95. A 3D custom printed headset, in which the four major parts can each be printed in a different color. The company held a successful Kickstarter campaign last year, where it helped pioneer a new kind of design, manufacturing and distribution method using 3D printing and local mini-factories. Select colors and order here for £90 GBP. Delivery will take at least a month. The ImpressionPi headset is available for pre-order for $79. Expect delivery in September of later. The company held a successful Kickstarter campaign earlier this year. Unlike most cases, which are simply combinations of plastic and lenses, the ImpressionPi includes image recognition electronics that allows it to track hand motions. 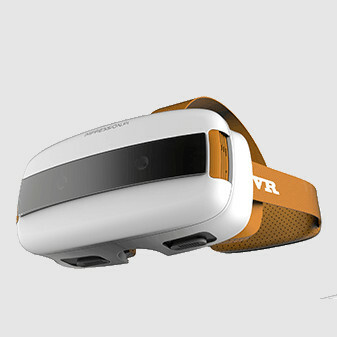 XionVR, formerlly Immersion Vrelia, can hold smartphones up to 6 inches in size and comes with a compatible gamepad controller. Order from TryCelery for $139.99. I can’t find a brand name for this headset anywhere. 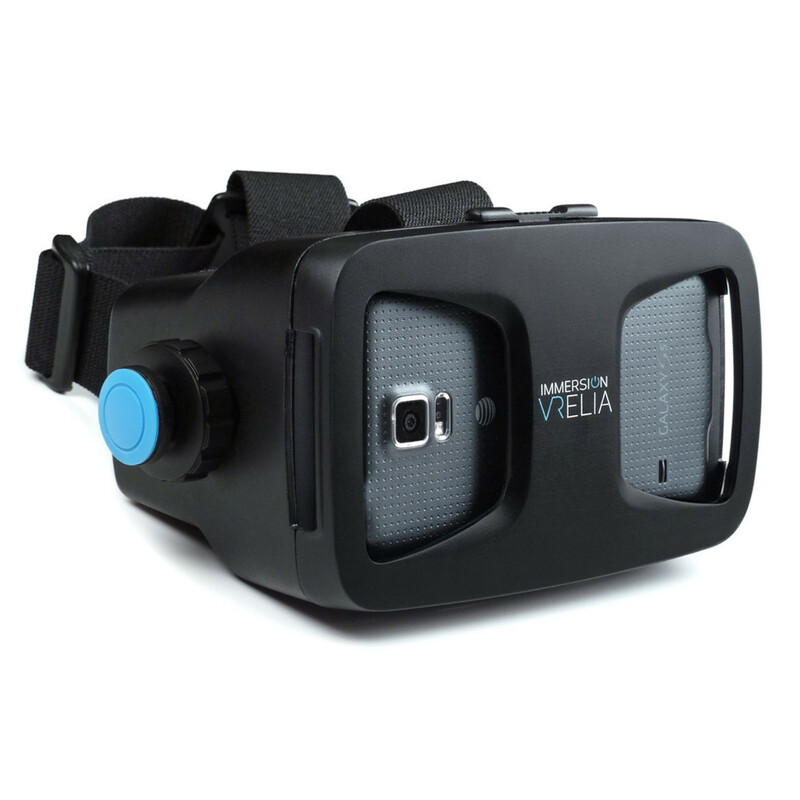 It’s called Universal 4.7 – 6 inch 3D Virtual Reality Video Glasses and is available from MobileFun for $16.49 and from TinyDeal for $25.30. As billed, it works with any smartphone between 4.7 and 6 inches in size.